ST. LOUIS — St. Louisans might rather watch paint dry than the Super Bowl this year, but if there’s one thing we all want to see, it’s the iconic Budweiser commercials during the big game. Luckily this year, you can see the commercial without having to deal with the Rams-Patriots matchup. Budweiser released its 2019 Super Bowl commercial Wednesday morning. Take a look at the commercial in the player below or click here if you’re on mobile and don’t see it. 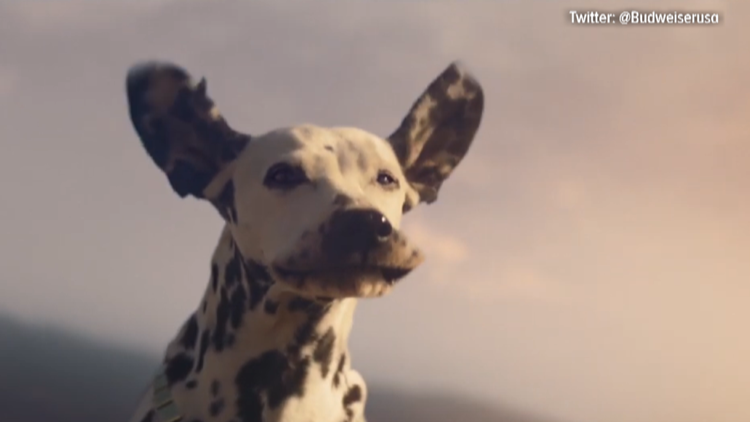 The commercial starts with a dalmation’s ears and lips flapping in the breeze, while Bob Dylan’s ‘Blowing’ in the Wind’ plays. Then, the camera zooms out to that iconic sight: Clydesdales pulling a beer wagon with the dog dutifully sitting on top. You see grain swaying in the breeze and dust kicking up behind the Clydesdales. All hints of what’s to come. As Bob Dylan strums, "the answer is blowin' in the wind." The bigger picture reveals more than a scenic backdrop. It includes a wind farm. “Wind never felt better. Now brewed with wind power,” flashed on the screen. Anheuser-Busch described the commercial as a story about the company’s future. It’s now brewing beer with 100 percent renewable electricity from wind power.